Granted, the dusting of snow outside today is hardly daunting, but if you haven't got a pair of warm winter boots that can handle at least half a foot of snow by now, you're just putting off the inevitable. 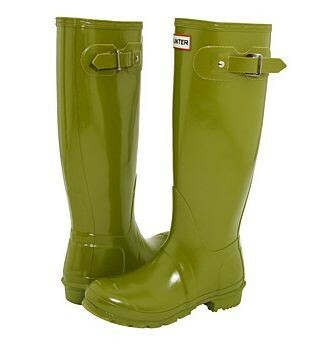 Can your boots handle the double duty of keeping you warm and dry and stylish? The fleece-lined Columbia Footwear Erial Rocsoft boots (above) in winter white are an important building block for the jet-set ski-bunny look, even if the closest you plan on getting to the slopes is reading about Gstaad in Travel + Leisure. $78 at Sierra Trading Post. 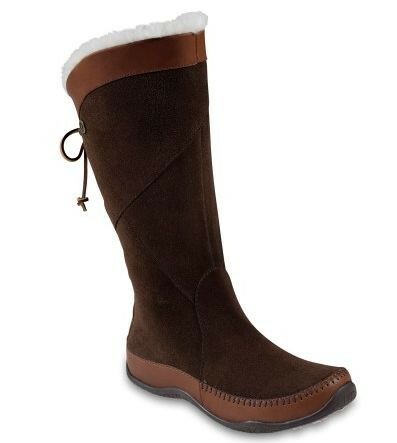 Lori's has a whole section dedicated to winter-ready boots both in the Lincoln Park store and online. The little strip of faux-fur lining peeking out of the Trevis by La Canadienne ($258) looks luxe, but not overly so. Made of charcoal waterproof suede (they also come in black), they can be scrunched down or worn up. The Natasha by Pajar ($182 at Lori's) is a grown-up moon boot. The North Face Janey has an appealing bohemian aura for those whose tastes in cold-weather gear meander to the west. 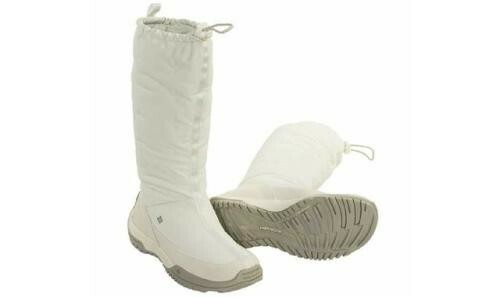 So much better than UGGs. $155 at REI.com. Me, I'm going to stick with warm socks and Hunter boots (you can also buy special fleece socks for them). Salt easily wipes away and in a range of hues including glossy pea green and aubergine, they provide a much-needed dash of color on gray winter days. $114.95 at Zappos.